Within the last few weeks the weather has made it difficult to stay dry. 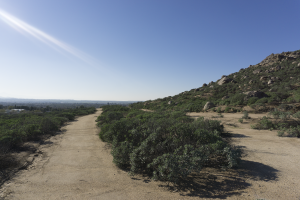 However, it has created some beautiful trails for Southern California hikers. California has been in a severe drought for the last four years, but in the last few weeks we have been receiving a serious amount of rainfall throughout the state. 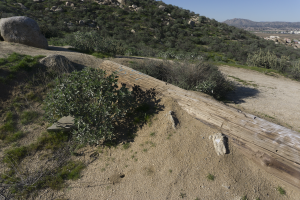 This weather change has carved out new trails, paths and walkways for adventurous hikers to roam and explore in the San Bernardino and Riverside Counties. Big Falls is a glorious waterfall that flows all year long, located east of Highway 38, and is even more gorgeous after the rainfall that we just experienced. Even though San Bernardino is a heavily metropolitan area, there still are some really cool rural areas that you can escape to just to get away from the hustle and bustle of everyday life. Geology student Maria Santana says that hiking, and exploring the wild is one of her favorite things in the world to do. “I absolutely love being outdoors hiking and exploring new places! I get to put on my boots, coat and take on the real world. I feel like an all terrain vehicle out there,” said Santana. Big Falls has dozens of trails, rocks, waterfalls, springs and vegetation for visitors to stand and climb on creating a beautiful memory to be able to look back on. Those who want to visit Big Falls will need to purchase a $5 Adventure Pass upon making it to the park. Due to visitors severely injuring themselves, some parts of the park are closed for safety. If you’re more of a person who likes scenery and flowers, then the UC Riverside Botanic Gardens is just the place for you to visit. 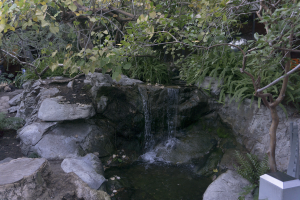 Located on the UC Riverside campus and open seven days a week from 8 a.m. to 5 p.m., the Gardens showcases all kinds of various roses, cacti, and even a collection of butterflies. The living plant museum cares for over 3,500 different plant species that visitors can come and observe, and they also encourage researchers to come out to study them. The garden house does not only house plants and other insects; over 200 species of birds have been seen living within the area as well. As students, parents and full time workers, it is important to be able to find the time to take a break from living our very busy lives to enjoy the outdoors because it is apart of who we naturally are. “I will sure start looking for them now because they sound beautiful,” said Freeman. Places like Big Falls and The Botanic Gardens are just a few of the places to visit in the area with rich scenery, wildlife and new sights to see. There are plenty more parks, gardens and trails out there to explore and find, but you just have to be open enough to find out where they are. Happy hunting!